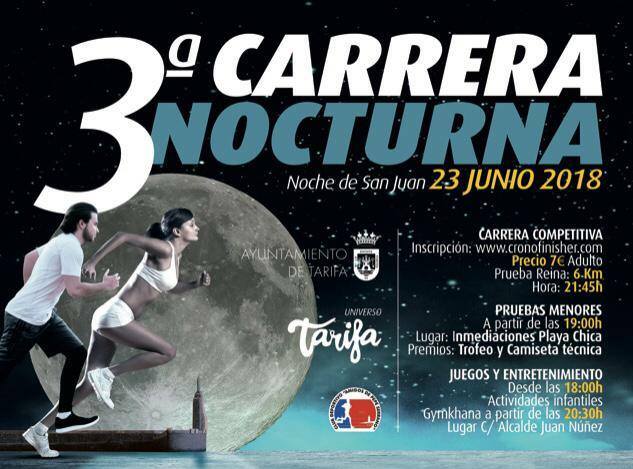 The Third Night Race, coinciding with the Night of San Juan, will bring novelties next June 23. In addition to the competitive queen competition, there will be games and entertainments for minors, starting at 6:00 p.m. Also race for the youngest categories with departure at 19:00 hours. Athletics fans already have a new incentive to not lose bottom and shape. Take advantage to train that there is still time. In June the Tarifa Nocturna awaits you.